"Start this hearty stew the night before. The longer it cooks, the better it is! 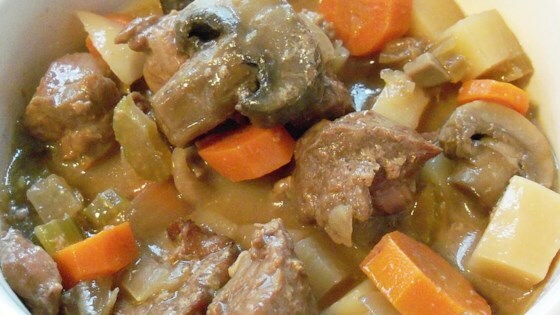 Tender stew meat with lots of mixed veggies! You'll have a great dinner all ready when you come home from work. Serve with Italian bread."